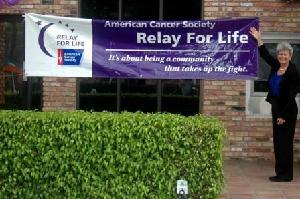 The ANB team is participating in the American Cancer Society’s 2011 Relay For Life of Hope, which will be held at Westminster Academy in Fort Lauderdale on June 3 and 4, 2011. Go to http://bit.ly/fCDkj0 for more information. This entry was posted on Wednesday, February 23rd, 2011 at 8:14 pm and is filed under Uncategorized. You can follow any responses to this entry through the RSS 2.0 feed. You can leave a response, or trackback from your own site.